My Series of Interviews of the Authors and Poets appearing at the Narberth Book Fair #BookFair #FridayReads. Today with Judith Arnopp. Throughout July I’ll be posting more interviews with the authors who will be taking part in our Book Fair: http://www.narberthbookfair.co.uk/. Let’s start by you telling us what you love most about the writing process, please, Judith? I love the escape from the present, especially when the plot is really flowing and the characters are speaking to me. It is like stepping away from the troubles of the present day and into the past – usually, although not so often lately, it puts our own woes into perspective. Sometimes I become so engrossed in the Tudor world that I forget to stop for lunch! Hilary Mantel, I particularly loved Wolf Hall and Bring up the Bodies. She took a traditionally unloved stock Tudor villain and made him human, although I don’t think she did Anne Boleyn many favours. I think, these days, the bulk of my reading is non-fiction relating to my current project. Although it is my favourite genre, while I am writing I try not to read historical fiction for fear of tainting my own voice. Instead I read contemporary crime, or something set much later in history. Thorne Moore is one of my favourites. I am always on the lookout for a new release from her. I also read a lot of indie authors. I enjoy Anna Belfrage’s time slip novels, M.M Bennetts, Of Honest Fame, and May 1812, oh, and so many more, it would take too long! I’ve never thought of it for fiction but have been involved with other authors in non-fiction anthologies. Castles, Customs and Kings Vol I and II is a compilation of authors specialising in different historical eras and makes for great coffee time reading. It was fun to do and sells very well, particularly in America where readers are often far more passionate about British history than we are. I am currently involved with another anthology (title yet to be decided) due to be published in 2018 by Pen and Sword Books. My chapter is about a possible relationship between Anne Boleyn and Thomas Wyatt – since I researched so heavily for my novel about Anne, The Kiss of the Concubine, I had a lot of material to hand and I was glad to put it to use. Time will tell if it is successful or not but the publisher is already putting out feelers for a second volume. I have always been an author. Since I was really young I’ve written stories and have continued to do so all through my adult life. I never thought they were good enough for anyone else to want to read them though, so I never showed anyone apart from sharing kids stories with my children. It wasn’t until I went to university as a mature student and my tutors suggested I write something for publication that it even occurred to me that I could make a career from it. I had dreamed of course, of being a fabulously successful author with floaty scarves and heaps of confidence – ha ha. I have managed the author part but I am still me, usually in gardening clothes with muddy marks where I’ve wiped my hands on my trousers. As to confidence – no, I have none of that. I still think I am going to be exposed as a fraud sometime soon. The King’s Mother: Book three of The Beaufort Chronicles will be my tenth book! Ooh, I hadn’t realised that, I think it calls for a celebration of some sort. Asking which is my favourite is rather like asking me to choose a favourite child, I love them all for different reasons. My best sellers are The Winchester Goose and The Beaufort Chronicles so I love them for that reason. The main character in The Winchester Goose is fictional but based on research. 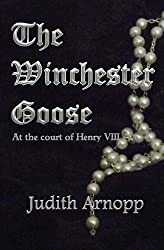 Joanie Toogood was a great character to write, she was a prostitute from Southwark during the reign of Henry VIII – she appeared in my head so easily yet I had no idea she was there. A Song of Sixpence was great to write, I really lost myself in that one and the persona of Elizabeth of York was really strong; she remained in my head even when I was away from the keyboard. I know it is a cliche to say so but sometimes it is as if I am channelling them. I have researched the Tudors for years, written blogs and articles about them but it isn’t until I have written about them in my fiction that they assume human qualities and become ‘real’. Peaceweaver was my first published novel, so I have a soft spot for it even though, if I was to write it now, it would be very different. 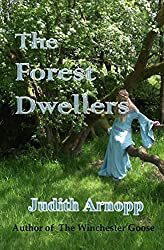 My early books were set in the Anglo-Saxon/medieval era, The Forest Dwellers just after the conquest illustrating the social conflict between Saxon and Normans. 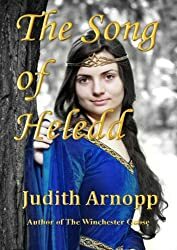 The Song of Heledd even earlier in the 7th century against the backdrop of the pagan-Christian conflict between kings Penda and Oswiu, and the king of Pengwern, an ancient kingdom in what is now Wales. I love this one for the wild, passionate, flawed character of Heledd. I suppose a short answer to your question should be that I can’t choose a favourite. All my books are Historical Fiction. I studied for a master’s degree in medieval history at university and when I began to write seriously historical fiction was my instinctive choice. I am far more at home in the middle ages than in the modern world. There is nothing I like more than dressing up in my 16th century style gown for the Tudor Weekend at Raglan Castle where I meet readers old and new and sign books, discuss history and generally have a great time. You should come. It is on August Bank Holiday this year. I have written short contemporary stories but I am far more at home in a historical setting. This might sound strange but the world I access when I write is a place inside my head, a place I retreat to when this world becomes too trying. Writing is a great healer for the soul. I am on book three of The Beaufort Chronicles. It is the hardest thing I have attempted so far. Margaret’s life was long and very eventful so it was necessary to split it into three volumes. Poor Margaret not only suffered some dreadful life experiences but now suffers a really bad reputation. Because she has been portrayed in fiction and on screen in a negative light, people think they know Margaret but in my books she is telling her own story, providing the reader with insight into why she made certain actions, took some brave, often rash decisions. By the way, in my books, she does not kill the princes, or sleep with Jasper Tudor. People in Margaret’s position had to make choices to preserve both themselves and the people they loved. When she makes a harsh decision, she provides reasons for her actions, and emerges very differently to the overly pious harridan previously described. The response to the first two books of The Beaufort Chronicles has been great. Every day I have a pile of emails to go through asking when book three will be available. Readers can be very demanding but I love that, it keeps me motivated, although sometimes I panic that I won’t get it done, or they won’t like it. Henry VIII appears in several of my books as a small child or a young man and I love spending time with him. His very name evokes the pictures we are all familiar with: a huge brooding oppressor, the bestial despoiler of the church, the wife killer, the autocratic monster; but he wasn’t always so. Early historic descriptions show a precocious child, endearingly sociable and confident and later a golden prince, loved by all and eager to step into his dead brother’s shoes to become a noble and gracious king. Something went wrong for Henry and the jury is still out on the reason for the decline in his personality. Whether it was disease, a medical condition or the result of his failure to achieve all he had been schooled to do we will never know. During his infancy Henry was surrounded by women. His mother, having been obliged to see her eldest son move to his own household at a very tender age, concentrated her attention on her remaining children. There is some evidence to suggest it was Elizabeth who taught them to write. I love to spend time in the nursery, explore Henry’s possible relationships with his sisters, Margaret and Mary and, for a short time, Elizabeth – the sister closest to him in age who died at the age of three years. There were many influences on Henry, most of them likely to cause detriment in later life. His sudden propulsion from second son to heir to the throne must have rocked his world. He was kept close to his father, refused the sporting activities he loved and required to focus entirely on his future role as king. Henry Tudor made his son aware that every king’s imperative duty was to provide heirs; as many legitimate male children as could be managed. In my opinion it was that failure that was the root cause of all the subsequent failings of Henry VIII. 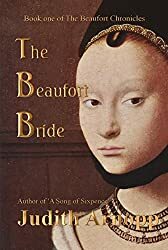 Usually they say how much they enjoyed The Beaufort Bride and The Beaufort Woman and when will the next one be published! I hear from my readers a lot and I am surprised and pleased that they bother to contact me. I always reply, make it a priority before I begin the business of my writing day. There are some who write to me every few months, asking me questions about historical characters or if I can recommend any non-fiction. It is always very gratifying when my novels make readers curious enough to learn more about the era or the character, some of my readers have even gone to university to study the subject. My work is very accessible and lots of them say they have never liked the genre of historical fiction before but now read it almost exclusively. I wish I could write faster, I know their pain for I have been waiting ages for Hilary Mantel to finish her third volume of her Thomas Cromwell series and also David Starkey to complete his biography of Henry VIII – get your finger out guys, if you’re reading this. I write five days a week, even if it is only for an hour. A few hundred words on the page each day moves things forward even when things become difficult but mostly I manage at least three hours writing and then spend the afternoon researching for the next part. One of the most surprising and touching communication I had was from a couple who read Peaceweaver and thanked me because it had helped them come to terms with the loss of their teenage son. They mentioned a passage from the end of the book that I could not even recall writing. At the end of the telephone call, I flicked through to find the part they referred to near the end of the book. He stands behind me with his hands upon my shoulders, both of us looking up at the sky; a sky that reminds me of the night Harold returned from Normandy and asked me to be his wife. I was astounded that a few throwaway lines I had written had somehow given them the strength to move on. I don’t think anyone can make a more rewarding comment about my work than that. No, I don’t think so, my only real talent is writing. I have a lot of hobbies though. I love gardening, reading of course, and I crochet blankets and baby clothes. Sometimes I do embroidery, make historic linen coifs embroidered with blackwork. I have made some French hoods but they are fiddly and not easy to do while watching or listening to the television. My dad was a talented artist, specialising in acrylic and watercolour and I would love to be able to say I share his talent but, although I have tried, the results are not pleasing. It is better to stick to writing, I think. Judging from reader comments, I would say the thing that makes my writing stand out is the fact that I write in the first person, present tense, providing first hand insight into the lives and emotions of my characters. It depends on the season. Gardening is my main hobby. We used to have about an acre on a smallholding in the Welsh hills which was very difficult to tame but we downsized to the coast about eighteen months ago. I now have a manageable garden in a mild (if rather salty and blowy) clifftop. My roses are thriving and I am enjoying discovering new plants that I could never grow before. At sea level everything is thriving. I have a small gardening blog that I try to keep up to date with. It is rather like a diary helping me to catalogue our activities and record what works and what doesn’t. 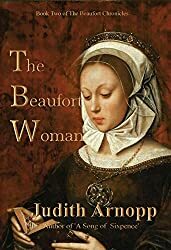 This entry was posted in #Blogging, authors, blogging, blogs, Books, historical, historical fiction, interviews, Narberth Book Fair 2017, pembrokeshire, Talks, Wales, Writing Competitions and tagged #women, books, history historical fiction, judith arnopp, The Tudors, Tudor, writing by Judith Barrow. Bookmark the permalink. I hope Margaret is redeemed; I admire writers of historical fiction, especially when they champion the cause of characters who cannot defend themselves against unjust portrayals. I would love to meet King Henry in his prime, I imagine him as truly larger than life with a very clever mind and a love of music. What a lovely story about the couple helped to come to terms with the loss of their son through Judith’s words and how wonderful that they contacted her to tell her. It is, Mary. Judith is a very gentle person with great empathy… and a brilliant writer to boot! Thank you so much, as always, Don. Lovely and touching interview, Judith and Judith. 😀 And intriguing books. I write fantasy, most often set in medieval (pre-technological) times, so the historical elements of Judith’s books are right up my alley. They sound wonderful. 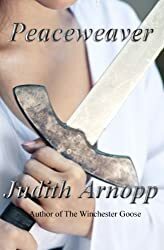 Historical novels are extremely popular with my mom, my aunt and I so I am very pleased to learn about Judith’s books. Thanks for dropping by Robbie. I’m sure you would really enjoy Judith’s books. So sorry I didn’t reply to these lovely messages sooner. Such kind words, and thank you for reblogging it Don. Don’t worry tidalscribe, Margaret tells the events in her own words so she is pretty much fully redeemed, and where she has to make harsh decision she provides good reasons for her actions. I hope to see some of you at Narberth – it isn’t that long away now! Which reminds me, I have deadlines to meet and must get back to work!